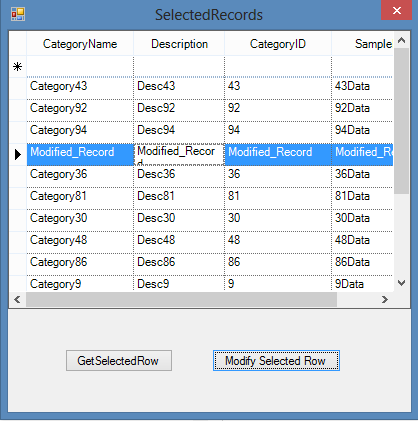 How to retrieve and modify the selected record in the Grid? 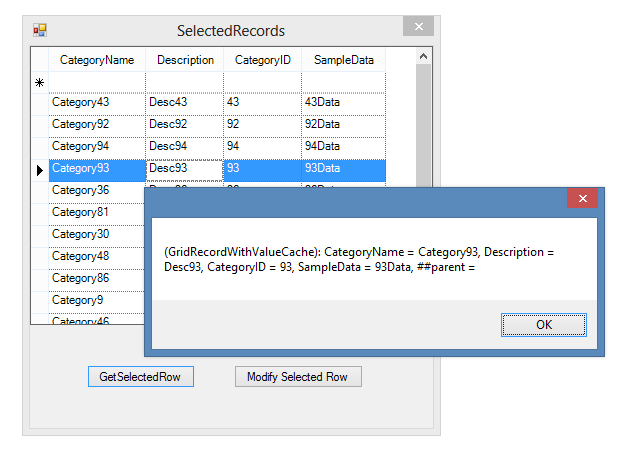 In order to get the selected records from the GridGroupingControl, the SelectedRecords property can be used. The SelectedRecords property holds all the selected records in the GridGroupingControl. The particular record can be retrieved by using the Record property of the SelectedRecords. The record can be modified by using the SetValue method of a particular record based on the columns.